Workers at the Dollar Tree on Lancaster Avenue say around 9 a.m. Thursday they saw a man and two women trying to steal things like candy and other merchandise. The store employees tried to stop the suspected shoplifters. They were able to detain one woman but not the other two suspects. 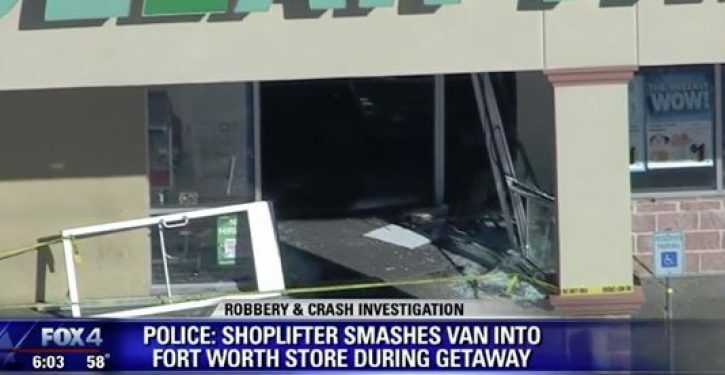 That’s when Fort Worth police said the man got into his van and rammed the front of the store to rescue his girlfriend. Police said the man and his girlfriend were able to back out of the store in the van and drive away. They are still at large. The second woman was arrested at the scene. 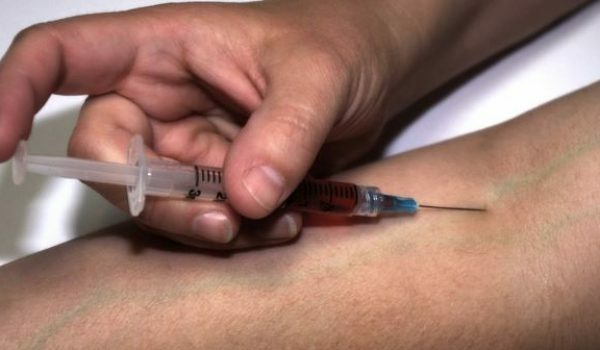 She was taken to the hospital because officers believed she might be under the influences of drugs or alcohol.